Can you imagine selling your product without its specifications, price, and category? Technically, it will be almost impossible. That’s where product information comes into play; it feeds customers with the necessary facts and veracity of products to influence their buying decision. 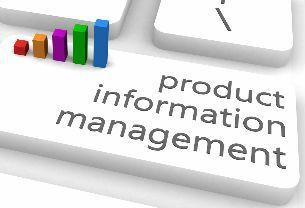 Product information supports in tapping the full power of products and selling more to customers. But with the rise of more channels, customers demand consistent and seamless information wherever they shop. And, this challenge is rapidly growing across industries. 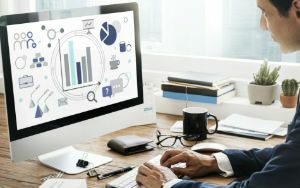 Product information management (PIM) acts like a central cohesive source in centralizing and harmonizing all your marketing and technical product information, with a focus on quality data to sell products across multiple channels. A PIM platform streamlines changing product information across multiple channels, thus ensuring that every business unit has a consistent and up-to-date information. 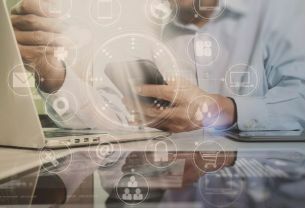 It helps you integrate, consolidate, and manage any type and any amount of digital data; and it gives a powerful control over a wide range of data assets – including product, customer, and vendor information, across different organizations and industries. According to MarketsandMarkets™ report, the Product Information Management (PIM) market is estimated to grow from USD 5.11 Billion in 2016 to USD 15.78 Billion by 2021 with a CAGR of 25.3%. For all your stakeholders, customers, and partners, product information is a golden record. You continuously need to keep them updated about the minute-to-minute status or changes happening in the product data. A PIM system takes a central role between different systems and communicates, and updates everyone to boost efficiency and reduce the risk of miscommunication on the sales cycle. How Does PIM Contribute to Business Revenue? 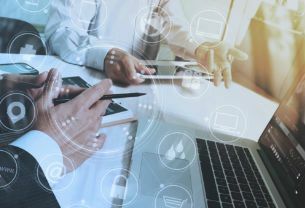 Consistent and centralized product information enables an organization to have a better control over product information, distributing up-to-date information to its customers across all channels. It ensures product information is consistent wherever it is used such as web portals, CRM systems, Point of Sale, data sheets, mobile platforms and so on. This will directly support the sales cycle, and customers have a satisfactory experience. PIM also helps quickly expand distribution channels/market, develop better customer relationships and boost revenue. 64% of US online adults today shop online because the product presented there is more informative than what’s in-store, according to a Forrester report. PIM is a key strategic investment with which you cannot go wrong. Happiest Minds is your partner of choice for enterprise product information management solutions. We are the exclusive Enterprise Partner of Pimcore in North America. We offer adaptive and consolidated PIM solutions for business process automation and digital transformation. Our vast experience and technology expertise enables you to rapidly integrate PIM platform into existing business infrastructure without risks and business interruption. Our integrated PIM solution has helped many enterprises to automate their processes, reduce ongoing operational costs, and achieve higher business growth at low cost and low risk. Know more about our PIM capabilities.